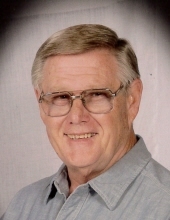 Mr. Patrick Austin Dunn, age 75, of Republic, Missouri, passed away in his home on Wednesday, August 1, 2018. He was born on April 26, 1943 in South Gate, California, the son of William Henry and Docia Mae (Austin) Dunn. Patrick was united in marriage to Deanna Sue Allen on December 4, 1965 in California. They grew up and met in Bell Gardens, California and have made their home in Republic the past 6 years. Patrick was a workaholic, working as a sheet metal worker; and retiring as a supervisor at an office and furniture manufacturer. He was currently working as a professional driver for RailCrew Xpress. He enjoyed fishing and his two grandchildren. He had two favorite television programs, Judge Judy and Jeopardy. His parents; two brothers; and a sister preceded him in death. Patrick is survived by his wife, Deanna; a son and his wife, Patrick Scott and Erin Dunn; a daughter and partner, Kimberly Deann Dunn and Laura Waters; and two grandchildren, Uriah Patrick Dunn and Tatum Dunn-Waters. Arrangements have been entrusted to Meadors Funeral Home, Republic. No services have been planned at this time. To send flowers or a remembrance gift to the family of PATRICK AUSTIN DUNN, please visit our Tribute Store. "Email Address" would like to share the life celebration of PATRICK AUSTIN DUNN. Click on the "link" to go to share a favorite memory or leave a condolence message for the family.